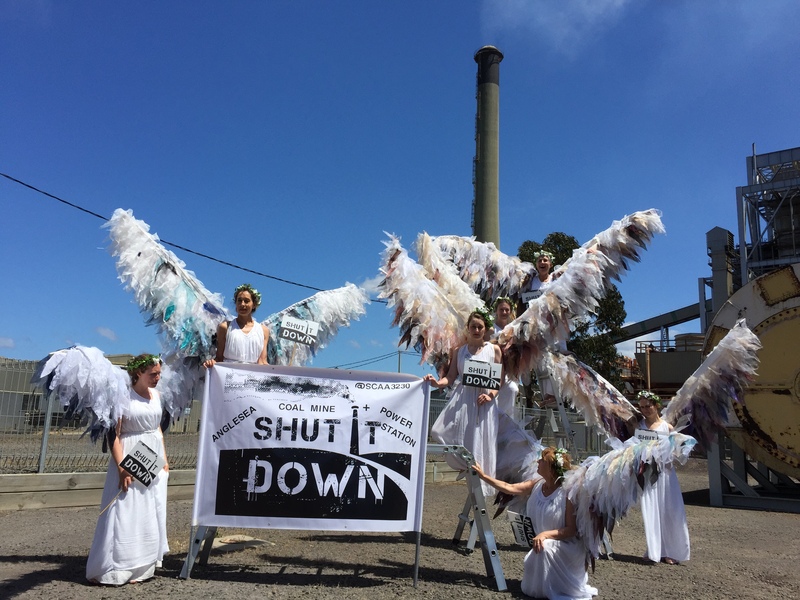 Our founding act is the Climate Guardians who use angel iconography to highlight the vital role of guardianship of precious natural resources in addressing the global threat from climate change. 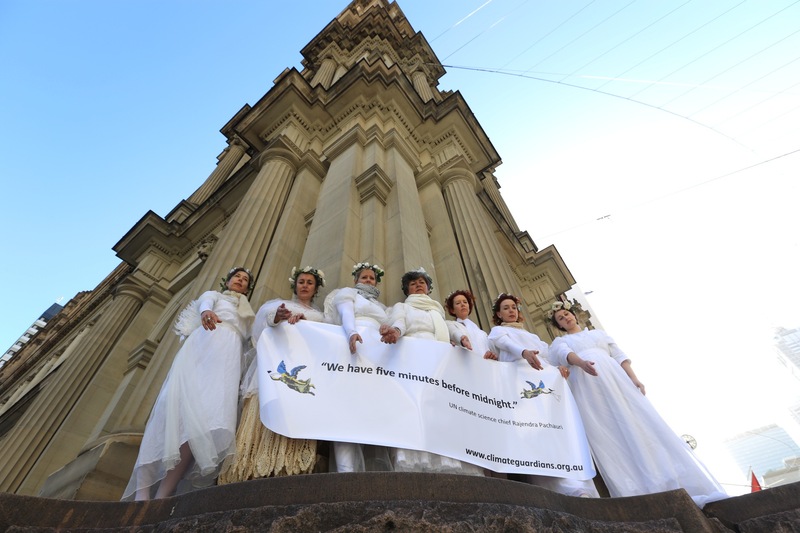 Graceful, haunting, and iconic, the Climate Guardians attract people to them with a beautiful simple clear message of hope through collaborative, effective climate action. They urge care for the precious natural world to protect children and future generations from the imminent threat of climate change. Global warming requires immediate action. Resource wars are destabilizing world peace. 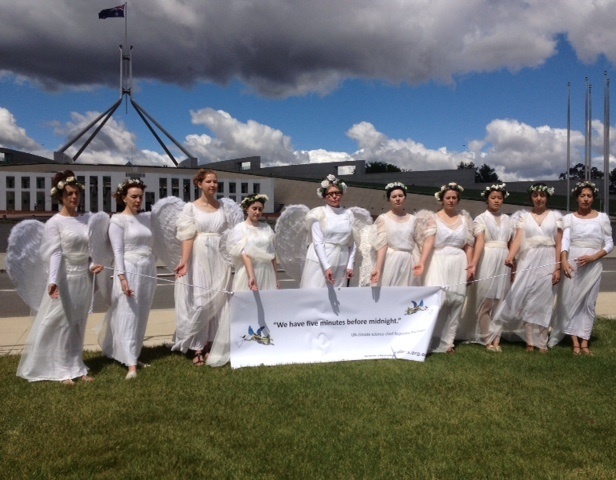 Climate Guardians ask leaders to declare a state of climate emergency to keep coal, oil and gas in the ground. We must urgently and fairly transition to 100% renewable energy. All lives depend on a safe climate. Failure is not an option. 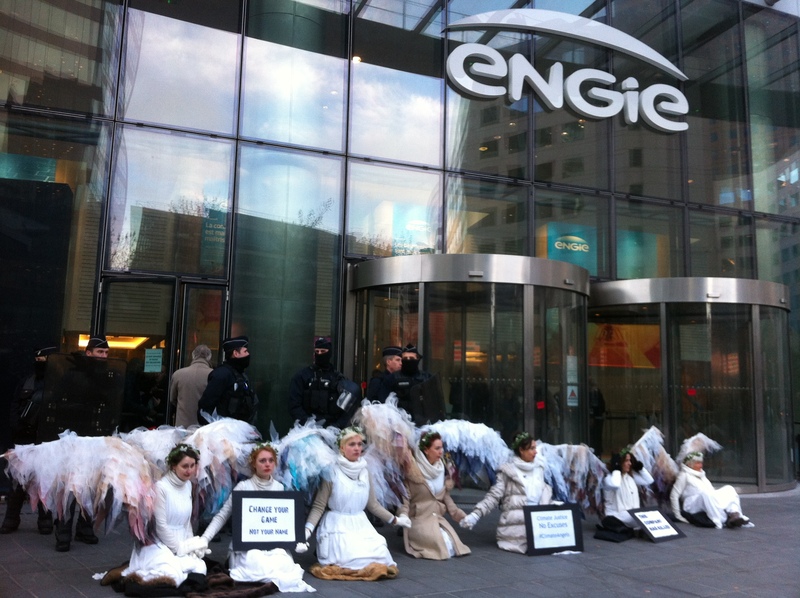 Action, as outlined in Our Safe Climate Demands is our moral responsibility. Get in touch with us if you are interested in joining an action!